Former model Justine Phillips agrees to be auctioned off at a charity event. Dramatically changing her appearance, she attends as "Jasmine". Alex Melrose, the CEO of a pharmaceutical company wins the bidding to take her to dinner. The attraction between them is instant, mutual and powerful. It isn't until Justine returns home after their date that she learns that Alex's company manufactured the drug responsible for the death of her mother. Alex searches for "Jasmine" but cannot find her. In spite of her conflicted feelings about Alex, Justine cannot forget him, but when they meet again, he doesn't recognize her. The attraction is still there, and they embark on a difficult and sometimes surprising emotional rollercoaster ride on their way to discovering the truth about each other. Book Two of the International Romances Series is entitled Fool Me Once. Deception by Mona Ingram feels like hanging out with your best girlfriends. From the very beginning, it feels like you pulled up a chair and joined your girlfriends for lunch. 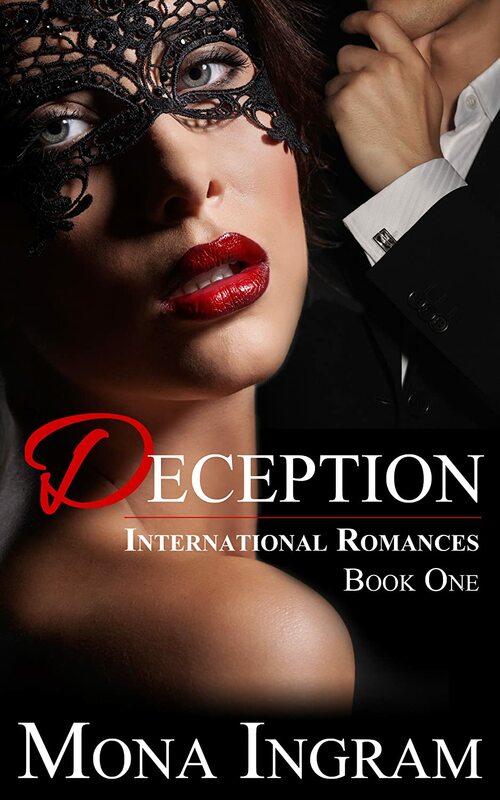 Like other books written by Mona Ingram, Deception has a unique, imaginative storyline that will keep you interested until the very end. I really enjoyed this book. It was one of those books that you can't wait to pick up each evening.